To say that Monero came out of the gate running would be an understatement. What was once a little known asset experienced explosive growth just two years after its release, and has only continued to grow since users discovered its real-world applications. But for some, it’s still not clear what Monero is and what it makes it such a valuable asset. For anyone who is still in the dark about Monero and its functions, here’s a brief guide to the the rising success of Monero, why it’s a worthy competitor in the cryptocurrency industry, and how it continues to remain relevant today. Monero, like Bitcoin, Litecoin, and other blockchain-based digital payment platforms, is a project that was designed to facilitate digital payments. However, Monero approached this mission with a new goal: make cryptocurrency payments completely private and anonymous. The issue with Bitcoin and other major cryptocurrencies is that, while they do not require users to input any personal information when making a payment, Bitcoin users can still be identified by their wallet address if they aren’t careful enough and Bitcoins that used in specific transactions can be identified as well. With Monero, transactions are completely private and cannot be traced back to the user. The largest contributing factor to Monero’s rising success was the privacy features that were built into its platform. One of the reasons why cryptocurrencies as a whole are so desirable is because of their anonymity. With use over time, however, users realized that many cryptocurrencies that were currently offered on the market were not completely anonymous and could be tracked. 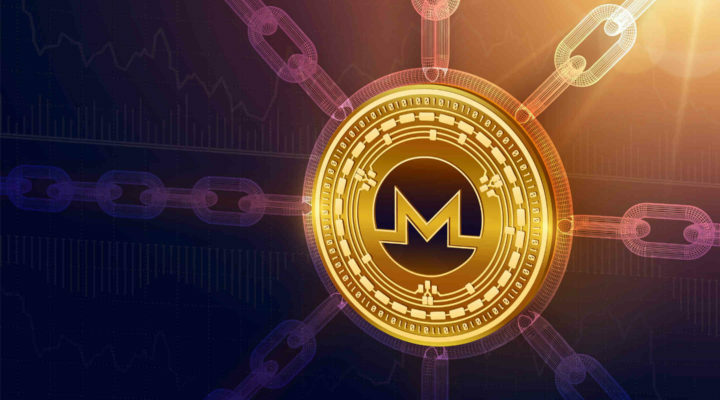 Monero met this need for anonymity and because of this additional feature, they were able to take advantage of the lack of projects on the market and find success. While privacy is the biggest contributing factor to Monero’s success, there are other factors that made this cryptocurrency stand out above the rest. Some of these features include ASIC-resistant code that makes sure that mining is fair for all users, a block penalty that provides incentive for miners to stick to limits and allow the platform to scale, and multiple keys to improve the anonymous transaction process. Overall, the development team’s goal was to make a secure, decentralized cryptocurrency that was available for everyone. Monero is still alive and well today, with the price of Monero at $106 at the time of writing and a market capitalization of almost $2 billion dollars, putting it in 10th place in terms of market capitalization. The reason? Monero’s privacy has proven useful for a specific group of individuals: those who operate on the dark web. While Bitcoin was previously the number one choice for individuals operating on the dark web, the lack of true privacy made it harder for people to stay anonymous when making transactions. The emergence of Monero allowed for dark web users to remain truly anonymous and gave Monero a real-world use that allowed it to continue to be successful. Although there are other applications for this cryptocurrency, use on the dark web is one of the most popular. At first glance, Monero is just a cryptocurrency. Once you dive deeper into the platform and understand how it differentiates itself from its competition, however, it’s easy to see how it managed to rise to success and hold a high-ranking position among other crypto assets. In the world of cryptocurrency, privacy and decentralization are king and Monero meets these needs.